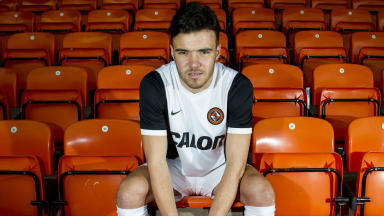 The 22-year old centre-half is the first summer signing for the Tannadice side. Dundee United have signed former Queen of the South central defender Mark Durnan on a three-year deal. The 22-year old was a regular for the Palmerston Park side last season, making 38 appearances and scoring three goals. One of his strikes was the winner against Hibernian in April. Durnan is the club's first signing of the summer but the third new face that will join up with the squad for pre-season training on July 1. Simon Murray signed in January but went straight back to Arbroath on loan and Justin Johnson joined shortly before the campaign came to an end. 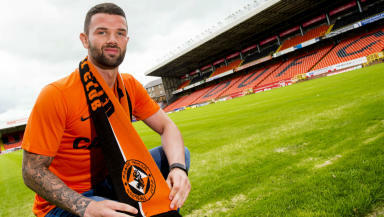 Durnan told the Dundee United website; "I have enjoyed my times at Queen of the South but I am ready to step up into the Ladbrokes Premiership and there is no better place to enhance your development than at Dundee United. 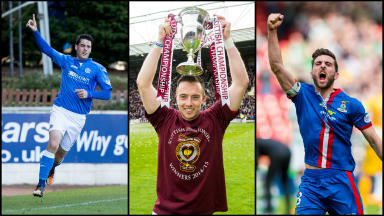 Manager Jackie McNamara added: "Mark is a strong centre half, something I have been looking for. He has the hunger and desire to succeed at Dundee United. "He had greater financial offers from elsewhere but wanted to enhance his football development. He sees the opportunities for young players at Tannadice. This is where he wants to be and showing this commitment to United pleases me. "He is experienced for his age and that fits the criteria of exactly what we are looking for. His style of play will appeal to our fans and he also pitches in with goals, which is another vital component of modern defenders. I am delighted we have secured Mark’s signature."